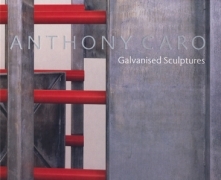 In celebration of Sir Anthony Caro’s upcoming career retrospective at Tate Britain in January, Mitchell-Innes & Nash is pleased to present Anthony Caro: Painted Sculpture from January 6 through February 26, 2005, their second solo exhibition for the artist. 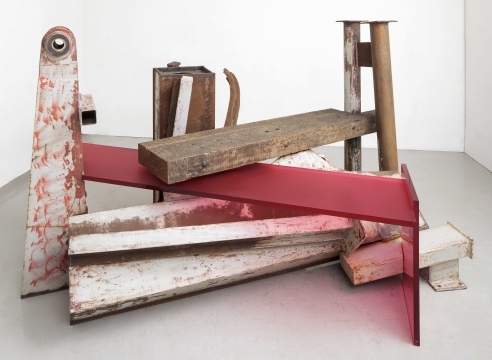 The exhibition will feature an impressive array of the artist's first painted sculptures from the 1960s and early-70s (including a room-sized work from the collection of painter Kenneth Noland), and several of his most recent pieces, galvanized assemblages of found objects, which are being exhibited for the first time. 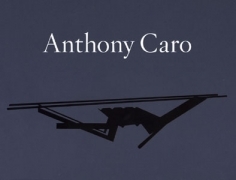 Commemorating the period when Caro first came to international recognition, his large-scale abstract works from the 1960s and 70s were revolutionary as the first freestanding sculptures to be set directly on the ground and for using found objects such as ploughshares and I-beams which the artist then painted uniformly. Listing Information: Opening Reception: Thursday January 6, 6 – 8 pm Exhibition Dates: January 6 – February 26, 2005 Gallery Hours: Tuesday - Saturday, 10 am - 5:00 pm Press Information: Stacy Bolton Communications, Tel: (212) 721-5350 Email: Mamie@StacyBolton.com Caro retrospective at the Tate Modern in London, on view from January 26 through April 17, 2005. For more information see www.tate.org.uk/britain/exhibitions/caro/.